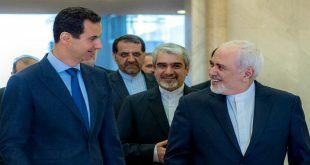 Damascus, SANA – President Bashar al-Assad on Monday received Iranian Foreign Minister Mohammad Javad Zarif and the accompanying delegation. 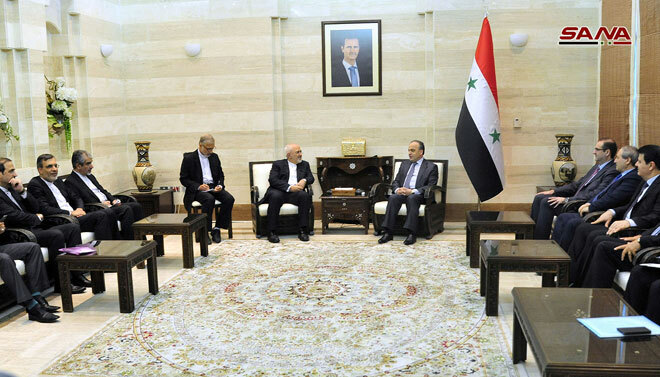 Talks during the meeting tackled developments in Syria and the region, as well as issues that will be discussed at the Russian-Iranian-Turkish summit due to be held in Iran within a few days, with the two sides expressing matching viewpoints regarding various issues. 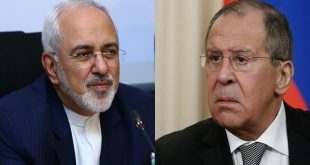 President al-Assad and Zarif asserted that the pressure exerted by some Western states on Syria and Iran will not dissuade them from defending their principles, their people’s interests, and the security and stability of the entire region. 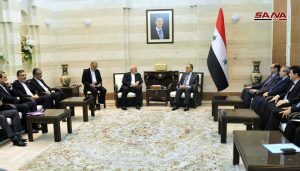 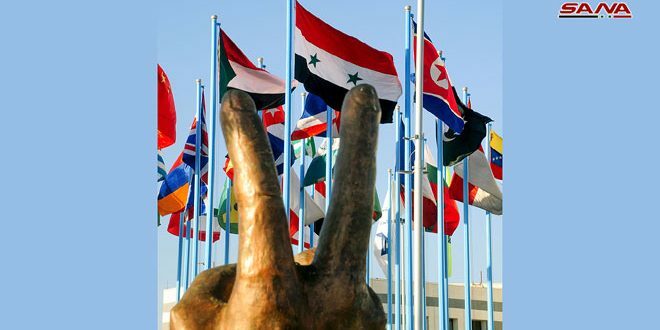 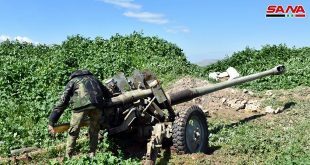 The two sides said that these Western states’ policies of threats and pressure against Syria and Iran show their failure in achieving the plots they had devised for the region after Syria and Iran opposed them. 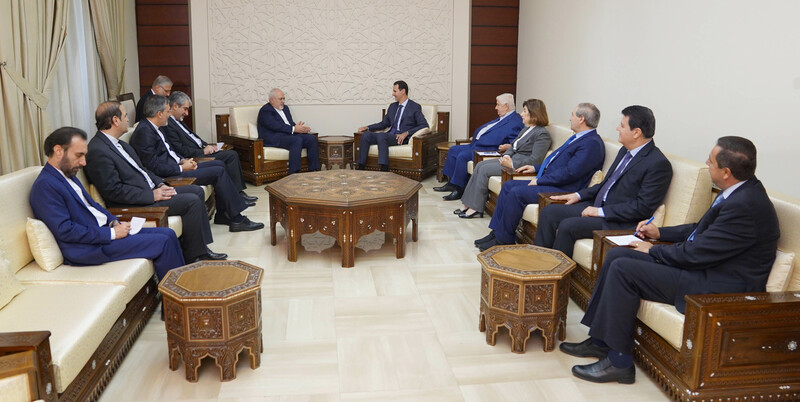 President al-Assad and Zarif voiced satisfaction over the level of relations between the two countries in various fields, and agreed to continue consultations and coordination on all levels, particularly in light of the rapidly-shifting regional and international variables. 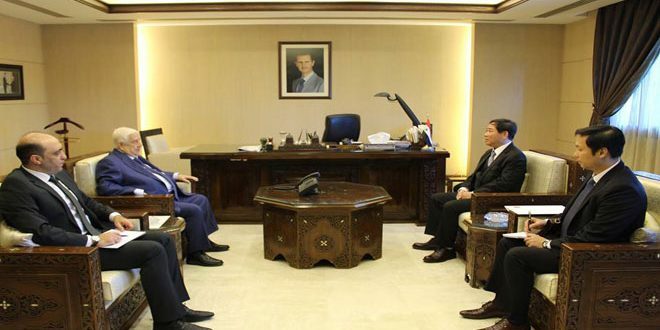 The meeting was attended by Deputy Prime Minister, Foreign and Expatriates Minister Walid al-Moallem, Presidential Political and Media Adviser Bouthaina Shaaban, Deputy Foreign and Expatriates Minister Fayssal Mikdad, Syria’s Ambassador in Tehran Adnan Mahmoud, and Director of the Asia Department at the Foreign and Expatriates Ministry Shafiq Dayyoub. 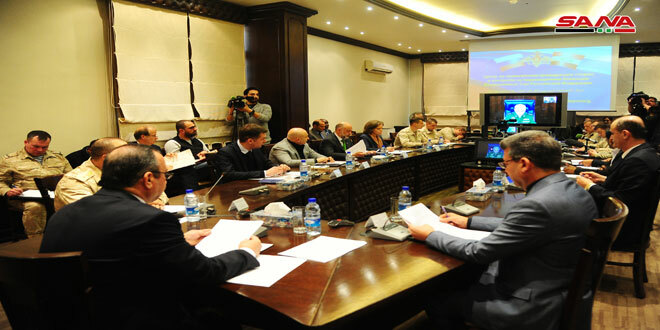 From the Iranian side, the meeting was attended by Senior Assistant to the Foreign Minister Hossein Jaberi Ansari, and the Iranian Ambassador in Damascus. 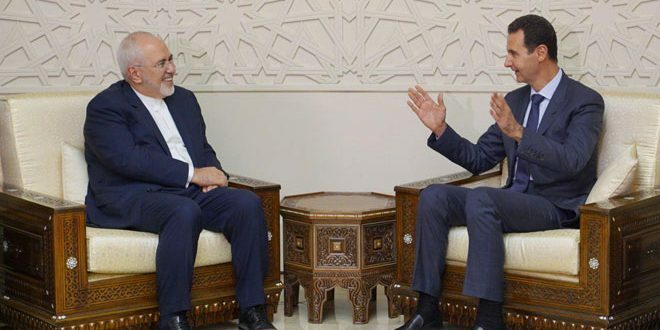 In the same context, Prime Minister Imad Khamis met Zarif and discussed the importance of further enhancing bilateral relations and cooperation in all fields, particularly economic fields. 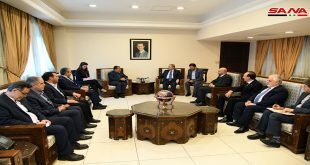 Discussions touched on the need to involve the public and private sectors in both countries in developing their economies and establishing joint project that realize the interests of both sides. 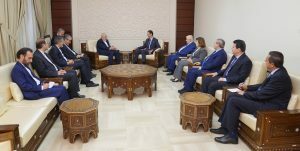 Minister al-Moallem also met Zarif and the accompanying delegation, discussing with them the latest developments in politics and on the ground in light of the victories against terrorism achieved by the Syrian Arab Army and its allies, and in light of the political activity to prepare for the tripartite summit for the guarantors of the Astana process.